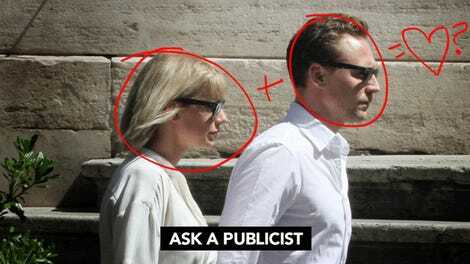 In case you were holding out hope that the world’s most annoying relationship was actually performance art (T.s Swift and Hiddleston Present: A Study in Insufferability, Opening Soon at LACMA), I have bad news. Tom Hiddleston has confirmed that the couple is in fact the real deal. You’re in the middle of a cultural frenzy right now dating Taylor Swift. How would you respond to people who claim that you’re involved in some sort of publicity stunt? [Laughs.] Well, um. How best to put this? That notion is — look, the truth is that Taylor Swift and I are together, and we’re very happy. Thanks for asking. That’s the truth. It’s not a publicity stunt. Alright, my dude. Best of luck to the both of you.